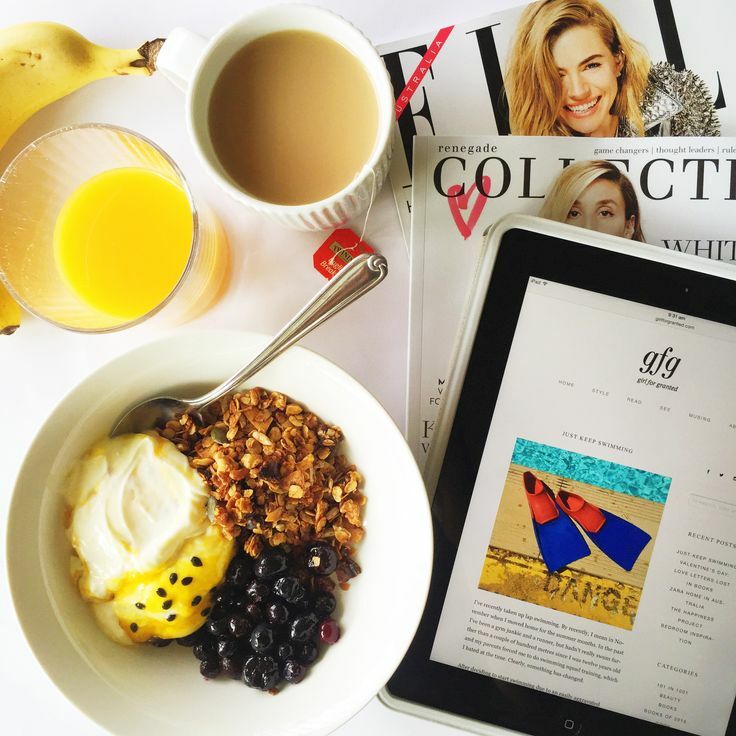 I go through phases with my breakfast choices – does anyone else? It is the one meal of the day I make sure I always eat, even if it’s just as simple as grabbing a banana or a yoghurt before I head out for an early morning swim, then refuelling afterwards with eggs or porridge. The phases are more to do with what I’ll actually eat as I’m pretty fussy. I stay away from most store bought cereals, and I’m not big on toast for breakfast – I’ll eat it if it means getting brekky in, but that’s about as far as my love of early morning toast goes. In the afternoon though, or for a late breakfast/brunch? Different story, especially if avocado is involved. Most recently I’ve been eating a small Greek yoghurt with a sprinkling of chopped walnuts, pepitas, sunflower seeds and blueberries – sliced banana if blueberries are astronomically priced, which is often the case. However, the game is up, and over the weekend, I decided it was high time to change up brekky. 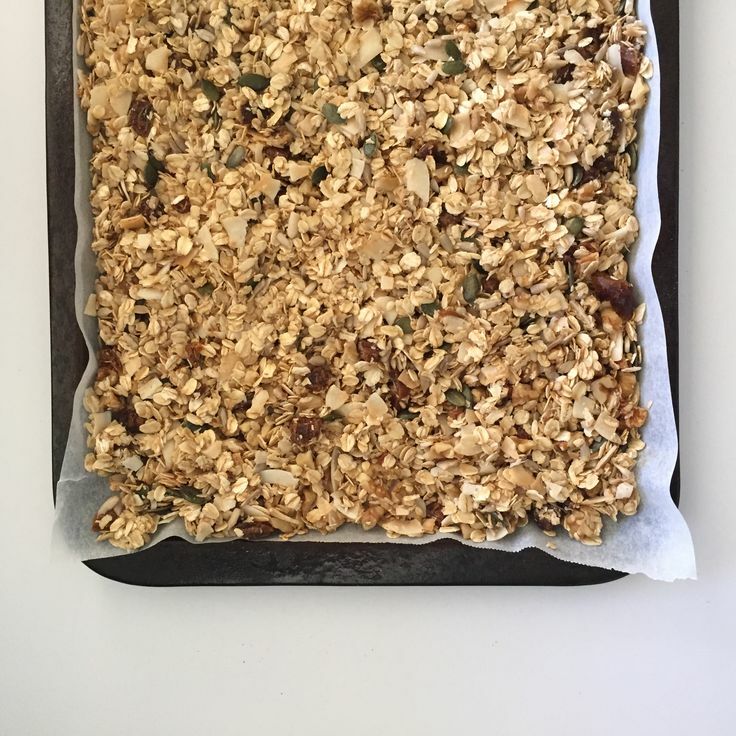 Last time I lived in Sydney, my apartment was around the corner from a cute little bakery that had amazing granola which I would eat at least weekly. 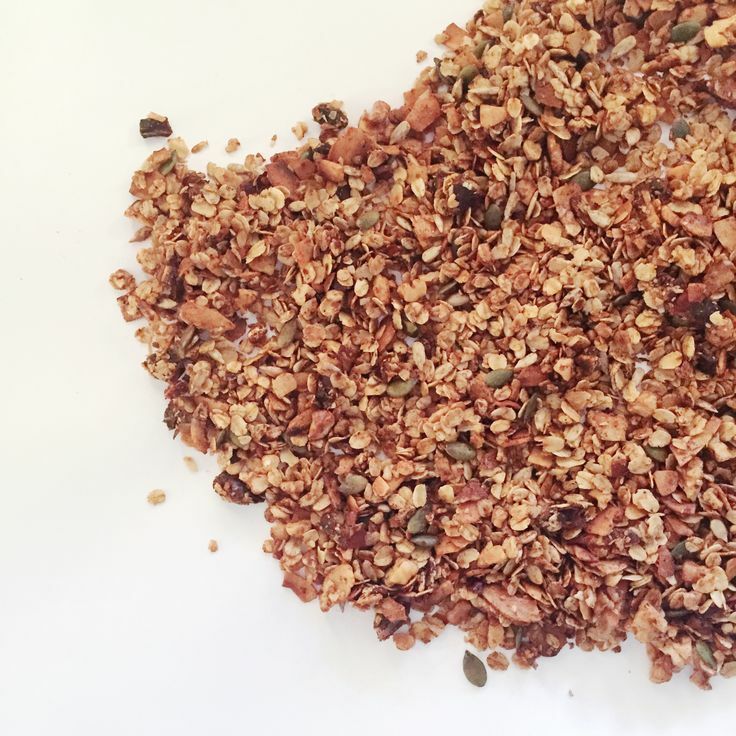 The thing is, while I love muesli and granola as a concept, it’s often laden with hidden or processed sugars and I’m a little (a lot) picky about what I like in it. The good news though – it’s very easy to make at home and pick and choose exactly what you’d like in it. Enter my new favourite brekky, homemade Coconut and Date Granola. Super easy and incredibly delicious, it’s also relatively low in sugar as the dates lend some sweetness (otherwise, it’s just some honey and brown sugar to taste). I used coconut chips and dates because they happened to be in the pantry, but you could also use sultanas, raisins, dried apricots, dried berries – anything really. 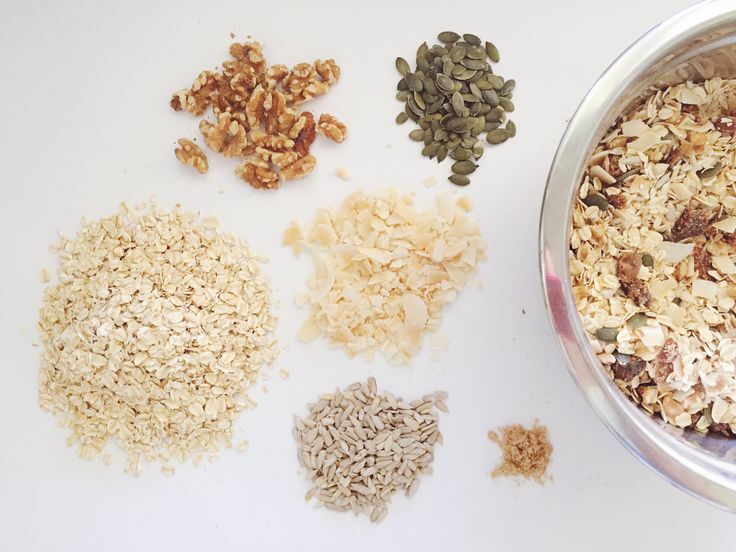 Homemade granola is a great blank canvas. My one regret? That I didn’t put almonds in it. I didn’t have any, and couldn’t be bothered going to the supermarket. I know now for next time! Read on for the recipe. In a large bowl, mix together dry ingredients, then add oil, honey and vanilla extract. Mix thoroughly, spread across one or two baking trays and bake for 30 minutes. Make sure you stir the granola a couple of times for optimum crunch. *The second time I mixed it during baking, I also sprinkled over 1 tsp of cocoa powder. It gives the granola a chocolatey bite and helps to get that beautiful brown colour. Serve with Greek yoghurt and/or fruit, or eat as cereal with milk. Delish!